The American Harmony is four weeks ahead of schedule and was launched exactly one year to the day of its sister ship American Song at Chesapeake Shipbuilding, according to a statement. Construction has also begun on the third ship in the modern riverboat series as the 195-guest ship is now in progress in Maryland. 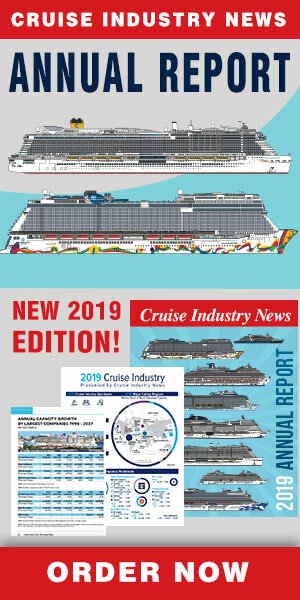 The American Harmony will have the same modern design and technical features of its sister ship American Song, including the opening bow and retractable gangway. The second ship in American’s modern riverboat series will have six decks, all-balcony cabins and a five-story glass atrium in the center of the ship. Immediately after the launch, the ship was positioned in Chesapeake’s East Outfitting Basin where it will receive its upper decks and outfitting.